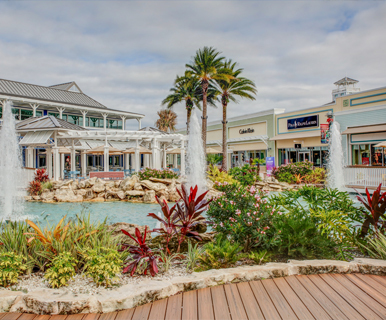 Do Business at Tampa Premium Outlets®, a Simon Property. 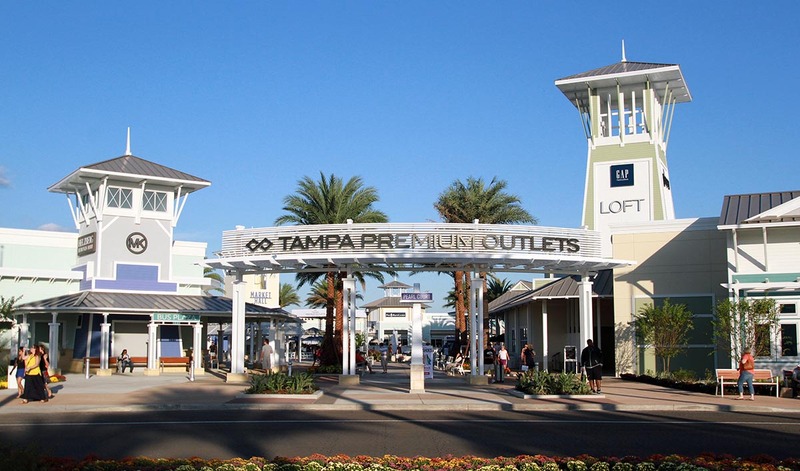 Tampa Premium Outlets offers a mix of product categories typically found in many Simon Premium Outlets around the country, including apparel and shoes, fashion accessories, leather goods, home furnishings, and specialty items. It has a Food Court with multiple dining options. In all, there is 441,000 square feet of leasable space. The design elements of the center incorporate a relaxed, contemporary 'Key West' style complete with a soft color palate scheme, palm trees throughout the common area, and water features to enhance the outdoor shopping experience. Shoppers will enjoy Premium Outlets' popular pedestrian-friendly layout which makes it convenient to visit all of the stores and dining options.